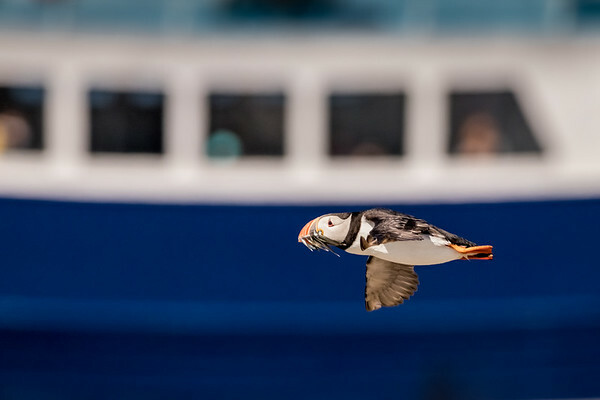 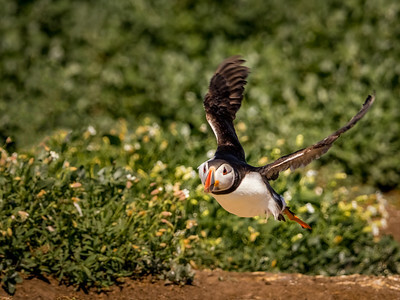 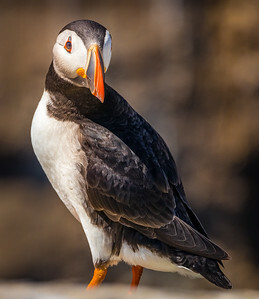 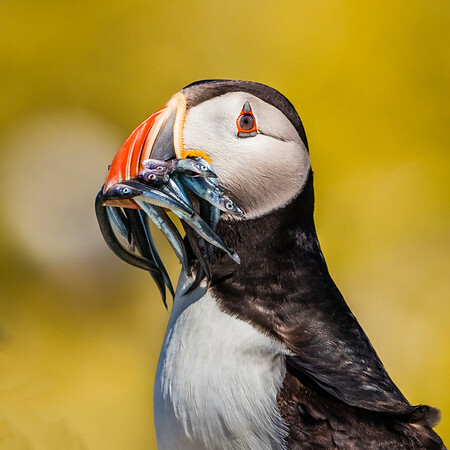 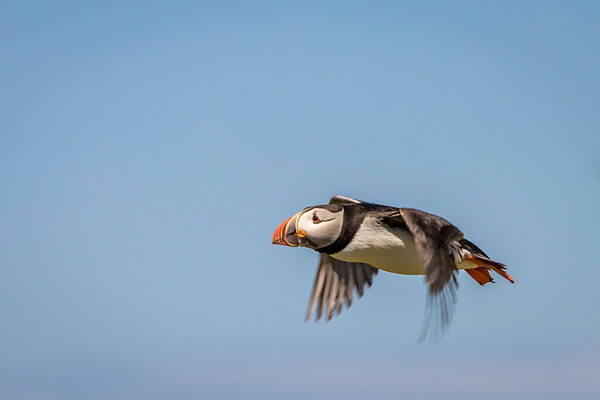 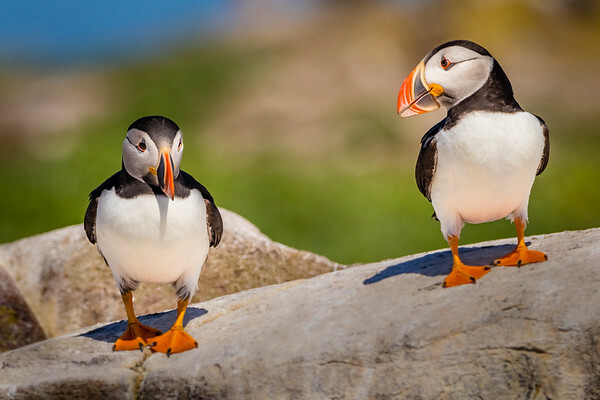 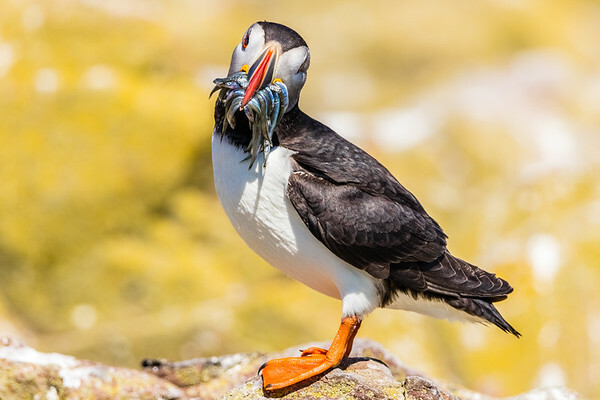 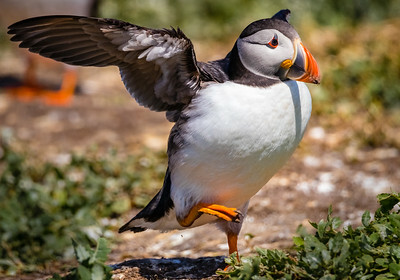 Puffins are distinct in their ability to hold several (sometimes over a dozen) small fish at a time, rather than regurgitating swallowed fish. 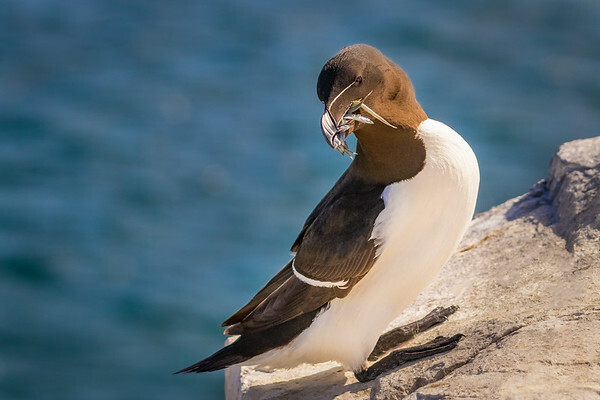 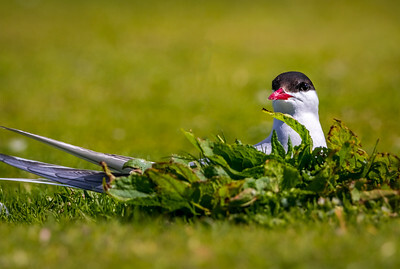 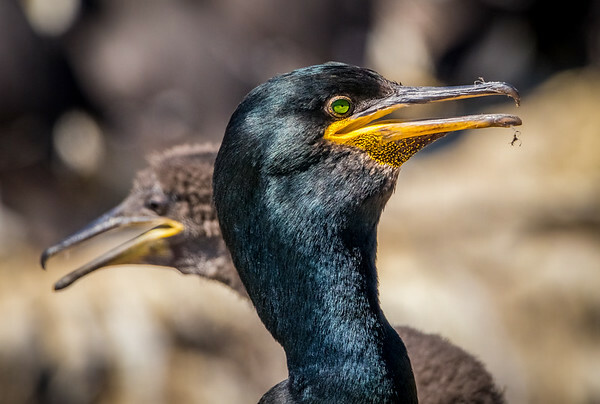 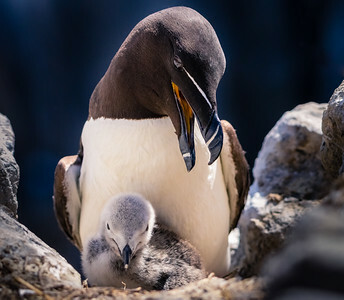 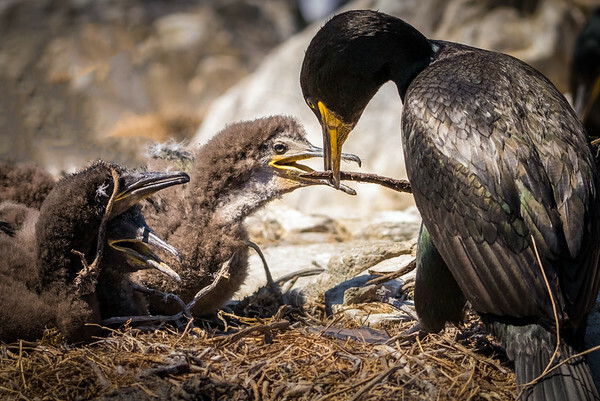 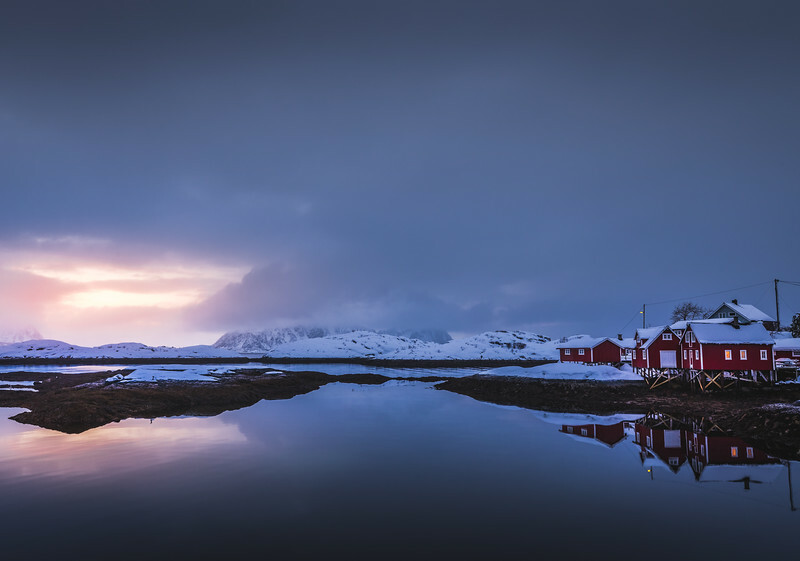 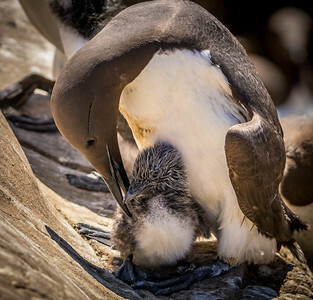 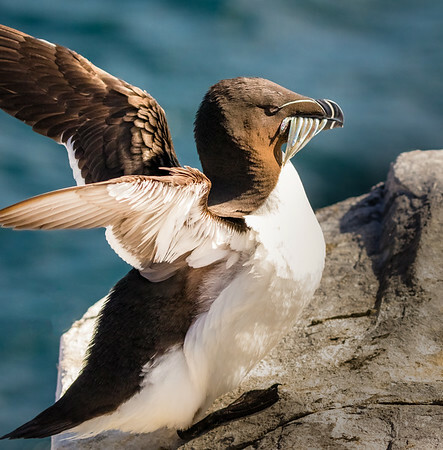 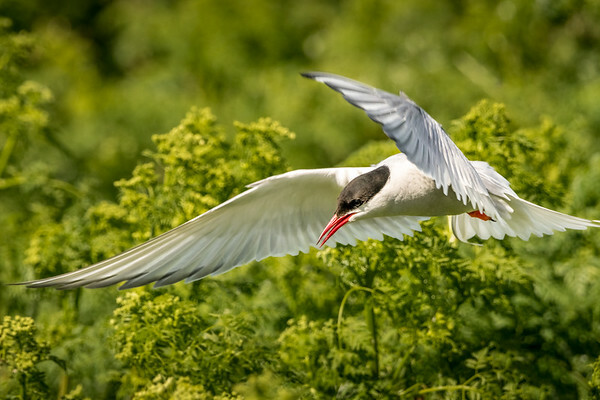 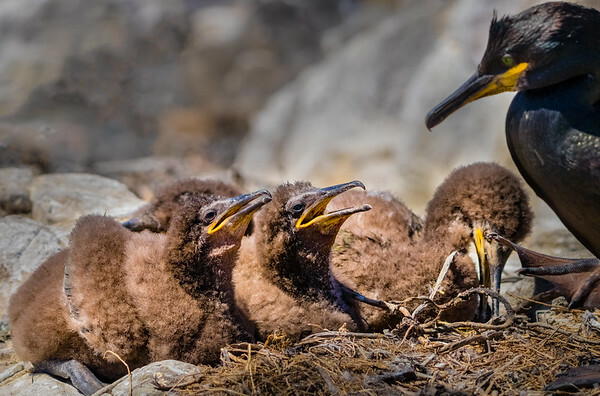 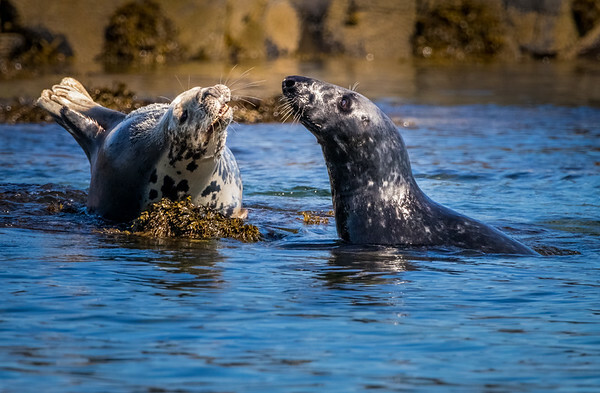 This allows them to take longer foraging trips, since they can come back with more food energy for their chick than a bird that can only carry one fish at a time. 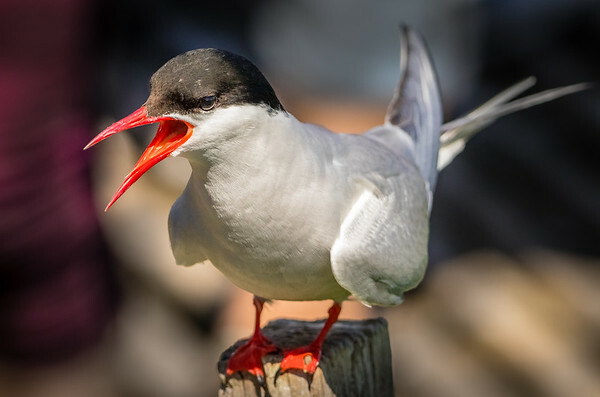 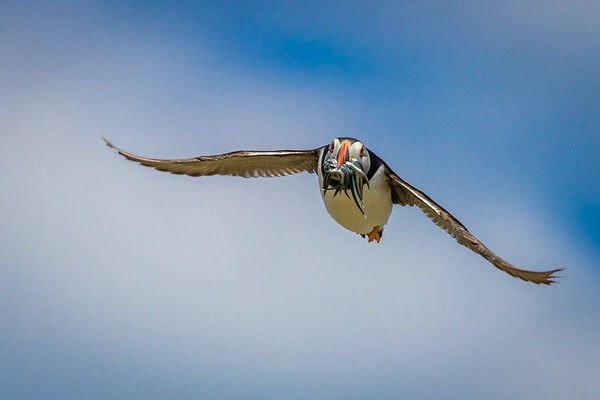 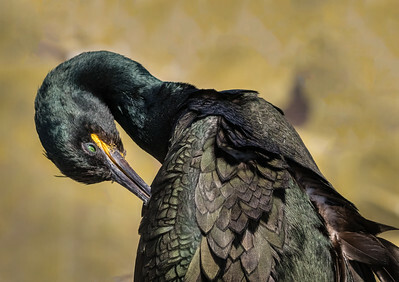 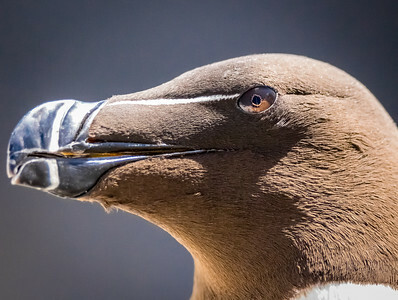 This is made possible by the unique hinging mechanism of their beak, which allows the upper and lower biting edges to meet at any of a number of angles.